St. Michael’s Cathedral | Aren't We All Just Tourists Here? From Sofiyska Square, you will see another cathedral to the east.. St. Michael’s Golden Domed Monastery which sits on Mykhailivska Square. 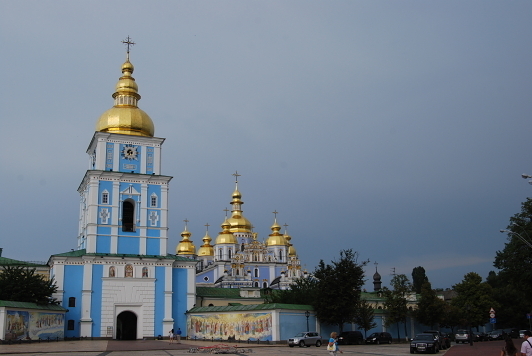 The original cathedral was built in the middle ages and dedicated to the Archangel Michael. It was demolished in the 1930’s after falling into disrepair but was reconstructed and reopened after Ukrainian independence in the late 90’s. While it is not an exact reconstruction of the original, St. Michaels is a beautiful sight to see. 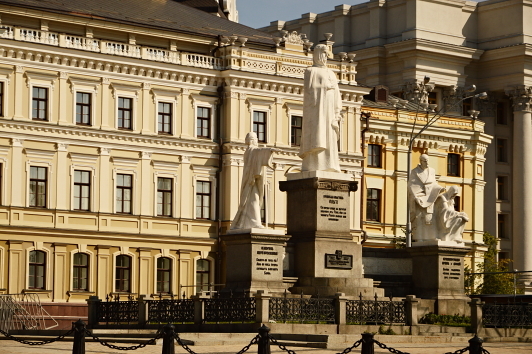 Also on the square, is a monument to Olga of Kiev. Her husband, Igor of Kiev, was killed and she ruled as regent for her son Svyatoslav. If you read into the history of her rule, you will see she was ruthless in her protection of Kiev. 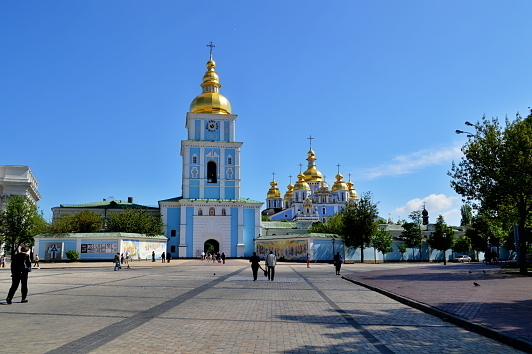 This entry was posted in Photography, Travel and tagged Cathedral, Kiev, Kyiv, Photography, St. Michael's, Travel, Travel and Tourism, Ukraine by Steven. Bookmark the permalink.